A restaurant owner and one of his customers became embroiled in a public row over the number of chips on a plate. 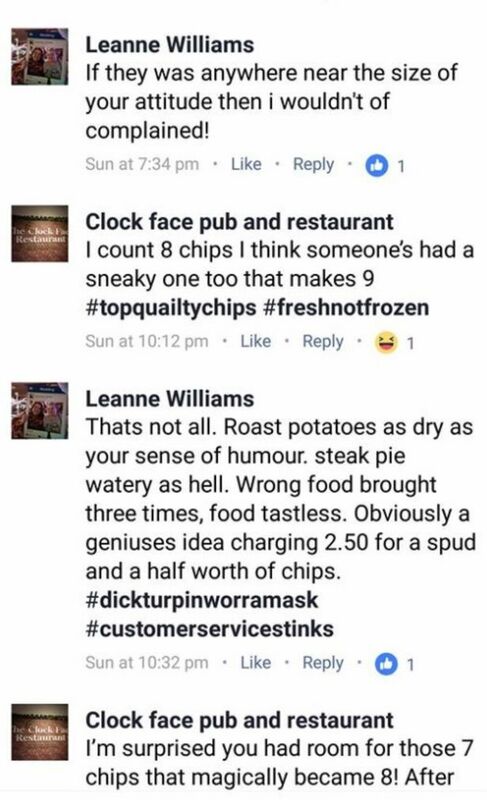 Leanne Williams penned a biting one-star review on Facebook blasting The Clock Face Pub and Restaurant in St Helens, Merseyside, for allegedly charging £2.50 for seven chips. But the director of the pub argues when the party pre-ordered their food for their party on October 15, they had requested a kid's meal - which is why the portion was the size it was. Leanne became involved in an online argument with the restaurant owner, and she said it was like "something out of Fawlty Towers". 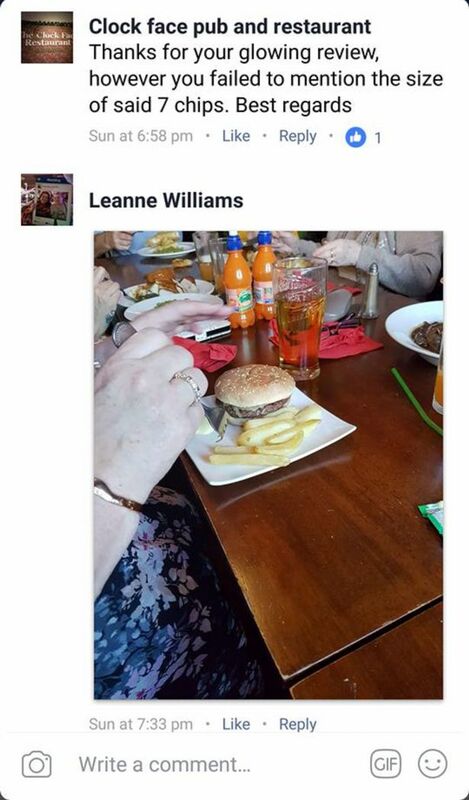 Taxi driver Leanne was shocked to receive a reply to her review from the restaurant's owner. He sarcastically thanked her for the 'glowing review' but quizzed her about the size and number of fries that were served. 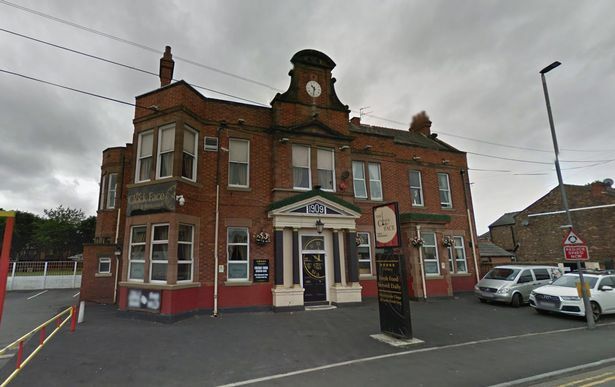 Restaurant boss Jamie Fildes said he was stunned to learn that the party, who he claimed left a £10 tip, weren't happy with the food they received, and said all comments made were meant as 'banter'. 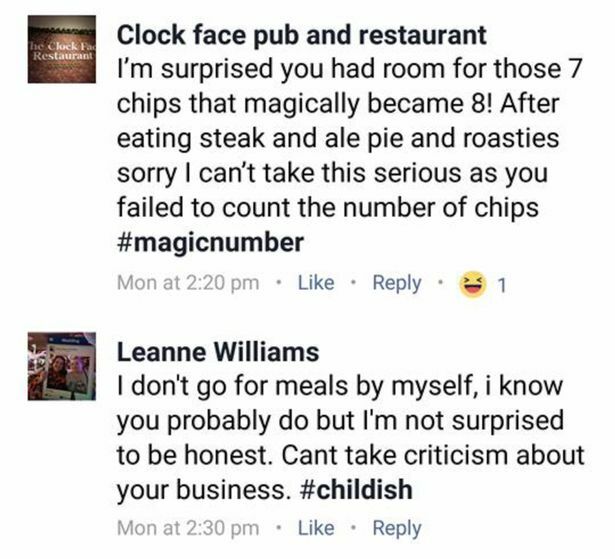 However in the social media row, the restaurant responded to 28-year-old Leanne's grievances with 'I count eight chips, I think someone's had a sneaky one too, that makes nine'. He then dared to comment on how much Leanne had chosen to eat by saying he was 'surprised she had room' for the chips after having steak and ale pie and roasties - prompting the customer to brand him 'childish'. Leanne, from St Helens, said: "It was like something out of Fawlty Towers, I couldn't believe it. "We'd gone out for a nice family meal to celebrate my girlfriend's grandma's birthday. 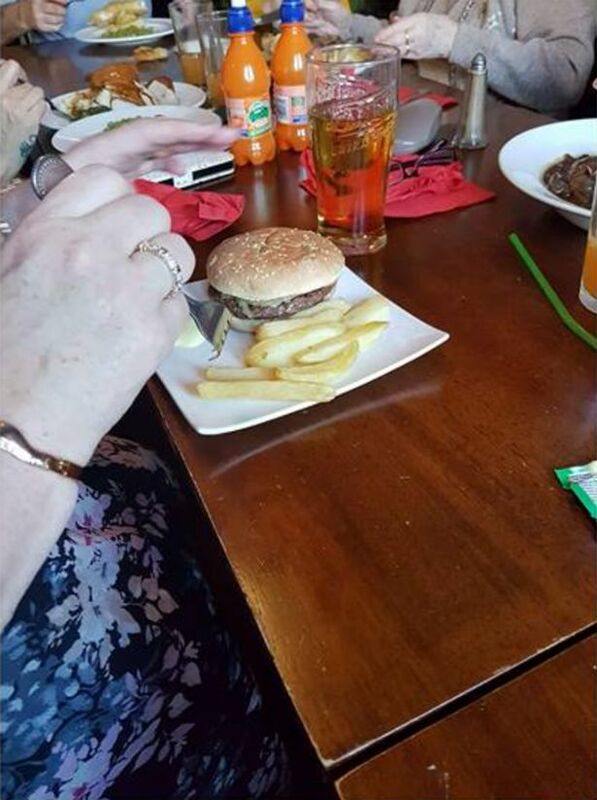 "We pre-booked and my partner's aunt had ordered the burger and chips. "The meal was served on a small side plate with seven or eight chips on it - it looked like a doll-sized portion of food. "It was £5.50 for the burger and £2.50 for seven chips, I couldn't believe it. "Her aunt had just had a stroke and is still struggling to speak. She didn't feel confident speaking about so I waited until we finished our meal to write the review. "When I saw the reply I just thought 'what a cheek'. I was a bit shocked by it and I thought it was disgusting." 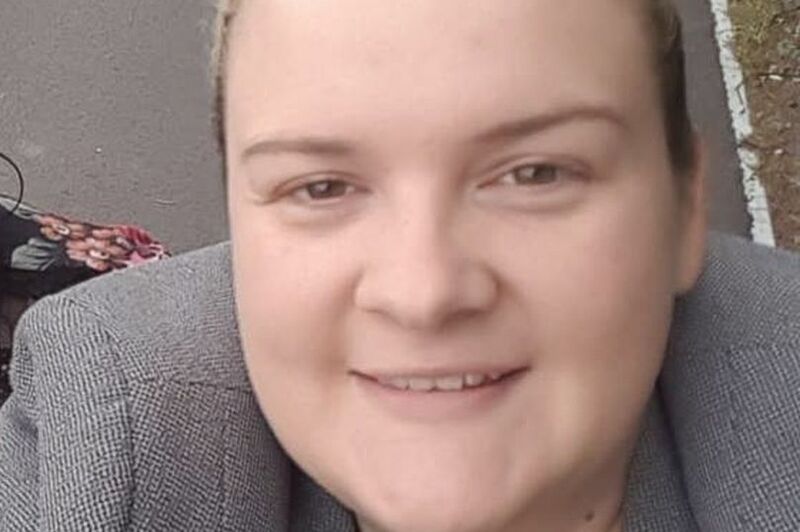 Leanne claims the tirade has upset her girlfriend's family who have regularly visited the restaurant for the past three years and has said she will never return. Leanne said: "We were going to go there as a party of 12 for Christmas Day but I've said if they decide to go I won't. "I'd rather sit at home and eat cheese on toast than go back there and give them my money. "How do you expect to run a business with an attitude like that?" Director of The Clock Face Pub and Restaurant Jamie Fildes said that when the party pre-ordered their food they had requested a kid's meal of burger and chips - which is why the portion was the size it was. Jamie also claims the Facebook comments were 'banter' and he expected them to be taken in the spirit they were made. Jamie, 31, said: "It was a daft, flippant comment which was satirical and meant to be banter and wasn't meant to cause any offence. "I hold my hands up, I should have been a bit more clued up, but I've learned a valuable lesson." Jamie said the size of the meal, and number of chips, was down to an alleged mix-up on the order form. Jamie said: "On the pre-order it said it was a kid's meal. Ideally they should have said something along the lines of 'you have messed up here and given us a child's portion', and it could have been sorted straight away. "It's not a fair comment to make as our portions are big. "If anything I'm over reasonable and will do anything to make anyone feel comfortable. "Out of 265 meals served that day we didn't get one complaint. "How can you come to a restaurant once a week for three years, leave a one-star review and then wait until she'd finished to put it all over social media? "For a table to leave a £10 tip, this suggests to me that the food has been good. "I never once said anything bad about them, I was trying to defend a review that was on my page, I was never nasty - I kept it professional."